Chapter 1. What will I do to establish and communicate learning goals, track student progress, and celebrate success? Chapter 2. What will I do to help students effectively interact with new knowledge? Chapter 3. 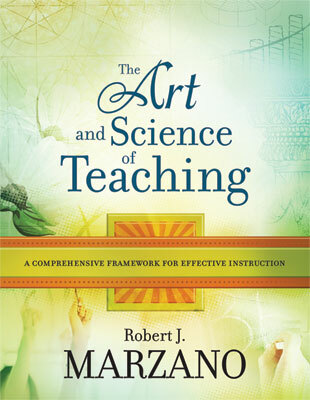 What will I do to help students practice and deepen their understanding of new knowledge? Chapter 4. What will I do to help students generate and test hypotheses about new knowledge? Chapter 5. What will I do to engage students? Chapter 6. What will I do to establish or maintain classroom rules and procedures? Chapter 7. What will I do to recognize and acknowledge adherence and lack of adherence to classroom rules and procedures? Chapter 8. What will I do to establish and maintain effective relationships with students? Chapter 9. What will I do to communicate high expectations for all students? Chapter 10. What will I do to develop effective lessons organized into a cohesive unit?